Two essays of mine were published this month. The first, on weight in early modern inventories, appears in The Journal of Art Historiography. I thank Anne Helmreich, Francesco Freddolini, and Richard Woodfield for their efforts in putting the issue’s section on inventories and catalogues together. The second essay, on fifteenth-century engravings of precious metalwork, appears in a volume edited by Jeffrey Chipps Smith that is part of Ashgate’s series on Visual Culture in Early Modernity. 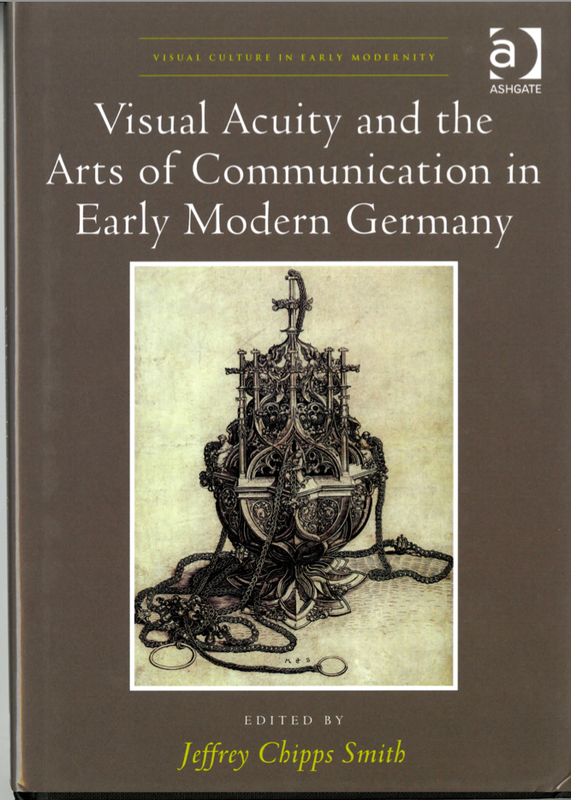 The book’s cover includes the Censer engraving by Martin Schongauer that I discuss in my essay. A little piece about me in the Yale Graduate School newsletter.